China’s Tencent, in which JSE-listed Internet and media group Naspers holds a 35% stake, appears to have designs on the African market and is preparing to ramp up focus on South Africa and Africa more broadly with its WeChat platform. Tencent, well known in China for its QQ instant messaging system, which has 784m active user accounts, is an investment holding company with subsidiaries that offer everything from online advertising and Web portals to e-commerce platforms and online gaming. The company launched WeChat two years ago under the brand name of Weixin. Its name was changed to WeChat a year later and claims to have more than 300m users, up from 200m 10 months ago. TechCentral established this week that MIH, the Naspers subsidiary that oversees the South African group’s Internet businesses, has appointed Brett Loubser — a former business development head at Samsung Electronics in South Africa — as WeChat’s “Africa specialist” and has tasked him with the deployment and growth of the service across the continent. Loubser, who has also worked for Nokia and mobile operator MTN during his 15 years in the mobile sector, is in Hong Kong until next week and was not available for comment on Thursday. 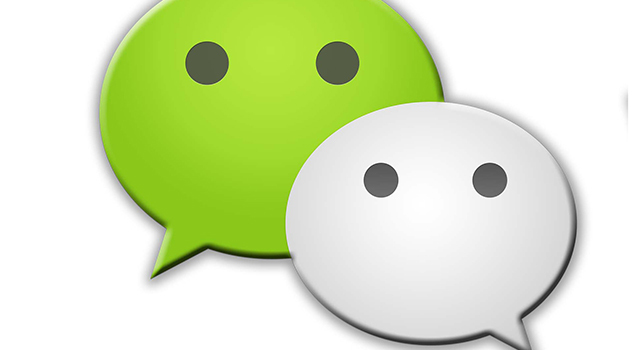 WeChat offers cross-platform messaging — including group messaging — as well as “hold-to-talk” voice communication and support for sharing images, video and location data. Video calling is also supported. It’s available for Android, iOS, Windows Phone, BlackBerry and Symbian devices. It is also available as a Web application. In many respects, WeChat resembles the popular cross-platform WhatsApp Messenger, which has enjoyed huge growth because of the ability for consumers to communicate across a wide range of devices, even cheap feature phones. WeChat has similar wide-ranging support, and additional features like video calling. Paul Theron, CEO of Johannesburg-based investment management firm Vestact, says Tencent has an enormous team of engineers and both the skills and funding to push WeChat aggressively into new markets. Although increased effort by Tencent to drive uptake of WeChat in South Africa and the rest of the African continent is unlikely to trouble WhatsApp too much, it could pose a threat to Stellenbosch-based Mxit, a company in which Naspers was the controlling shareholder until 2011 when it sold to World of Avatar, the company founded by technology sector investor Alan Knott-Craig. Mxit chief marketing officer Vincent Maher says it’s “good to see successful international players try their hands in the local market”. He says WeChat’s plans demonstrate that Mxit “made the right strategic choice” last year when it decided to become a “social media platform and introduce the value of community engagement to the chat experience”.